“Drums & Percussion Bundle” is an amazing collection of drum libraries containing everything you need to create stunning percussion tracks in multiple genres in your DAW. Featuring thousands of samples in total with stunning realism and instant play-ability, this bundle is perfect for Epic Trailer Music, Cinematic Underscore, Video Game and Ambient music! 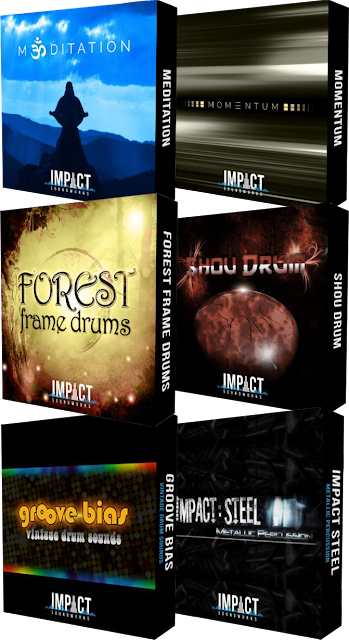 6 Highly Versatile Percussion Libraries In One Epic Package! Normally €342 – get it at 71% off before it’s gone! 71% off the normal price (normally €342)! An inspiring collection of acoustic mallet, gong, and glass sounds combined with a revolutionary Kontakt-based additive synthesizer! A beautiful tuned drum handcrafted from tempered steel and performed with a variety of articulations and mallets. Relive an era of classic drum sounds where funk was king! 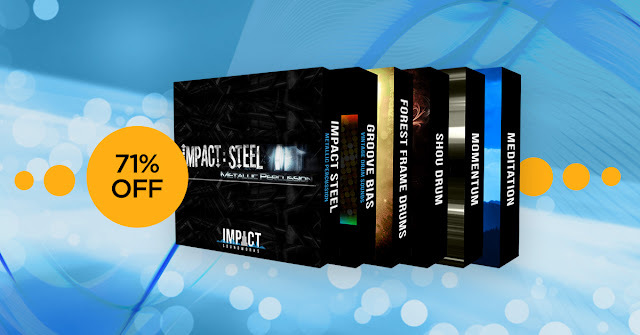 A highly expressive percussion library containing metal hits and “found” percussive sounds. Perfect for Epic Trailer Music, Cinematic Underscore, Video Game and Ambient music!